Holyhead is dotted with many notable buildings and landmarks, including Caer Gybi, a Roman fort which surrounds St Gybi’s Church in the centre of the town. Holyhead is a busy port town, serving over 2 million passengers every year. The town has a rich maritime history, which can be explored in its maritime museum, an old lifeboat house which was opened in 1986 and offers a large collection of exhibits. Holyhead’s unique blend of historical and modern amenities and attractions make it suitable for events that are formal and informal. The town offers a selection of activities such as golfing and fishing as well as many routes for those who love to enjoy a stroll and take in the scenery. The town is an ideal place to hold an event day or a social event with friends, family or work colleagues. 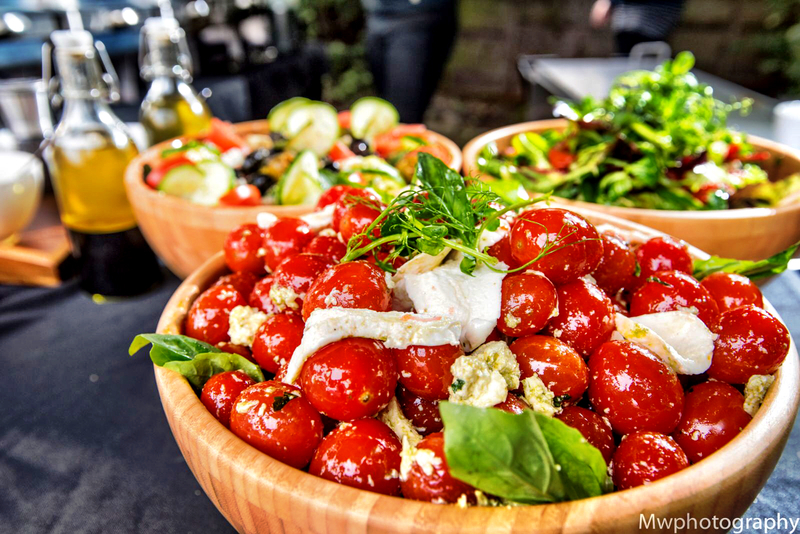 It can be difficult to find a type of catering that not only suits your budget but also one that wows your guests. Bog standard buffet food will satisfy their hunger but will not provide a meal that will get them talking. This is why more people are now looking for more interesting choices of catering to make their event stand out. Hog roasting is a tradition that dates back centuries and has been reintroduced, becoming a popular choice for special events as well as events that are organised for business purposes. 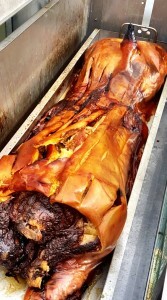 A hog roast is a highly beneficial choice of catering. Not only are you and your guests given the chance to tuck into some tender meat, but you are also provided with a meal that can be enjoyed in more ways than one. By opting for hog roast catering, you will have the very best staff for your hog roast Holyhead event. Experienced chefs will come and set up a hog roast machine at your venue and slow cook your meat for you. It is a well-organised service that is perfect for those wishing to experience a stress-free, enjoyable event that will be the topic of conversation amongst your guests for weeks to come. Hog roast hiring has also become a popular service. On a hot summer’s day, there is nothing better than a cold beer and a hog roast barbecue and it is the perfect opportunity for a pub owner to cook up some tasty food for the locals. Hog roast hire Holyhead is an ideal service for those planning a selection of outdoor events in summer or a series of events for the festive period. Holyhead offers some splendid scenery. With idyllic sandy beaches and breathtaking views of Holyhead Mountain, there is no doubt that the town is the perfect wedding location. Combine the town’s Roman forts and cultural attractions with the smell of a roasting hog and you can create a truly memorable event. Your hog roast Holyhead event can include not only the finest meats available but also a variety of other foods. If you wish to enjoy a truly traditional meal, then your hog roast menu can include potatoes, stuffing and other British favourites such as Yorkshire pudding. For a buffet-style meal, you can opt for sandwiches, jacket wedges and even traditional barbecue and buffet favourites such as sausages, burgers and kebabs. There really is a menu to suit everyone. A hog roast hire Holyhead event is a great way to keep all of your guests in high spirits throughout the day. You will want your food to look just as good as the location in which you are holding your event and a hog roast does exactly that. The sight of the meat cooking is a welcome addition to any event in Holyhead and offers something much more appealing and appetising than just a table loaded with bog standard buffet food. A hog roast is the perfect celebratory food, especially when washed down with a cool glass of beer or champagne. If you opt to have your hog or other choice of meat roasted for you, then you are not only provided with a great meal but also the equipment needed to complete your event, such as a serving table, napkins and crockery. When your guests have finished, you do not need to worry about clearing everything up, as the machine and any remaining rubbish or equipment will be moved from your event venue for you. Whether you are organising a sit down meal and require a hog roast caterer or wish to host your own hog roast event, you can be provided with everything you need to make your Holyhead event run smoothly.